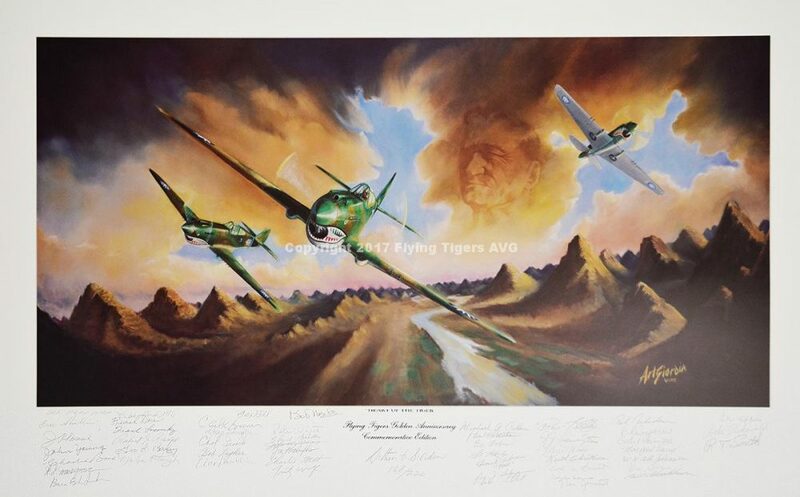 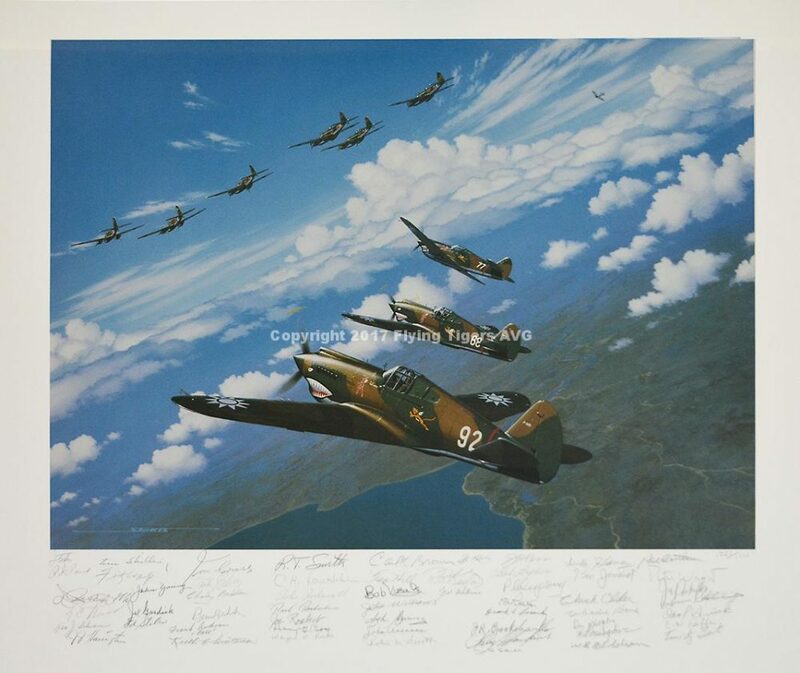 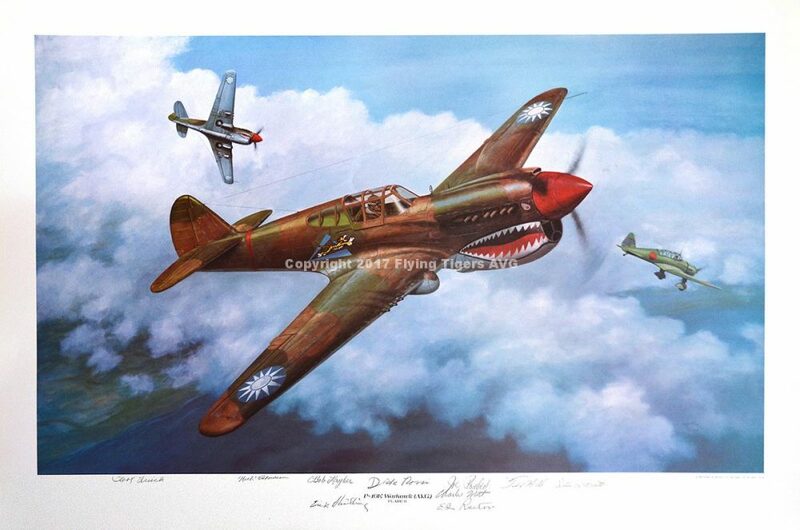 Full color limited edition print featuring the Flying Tigers battling over Rangoon. 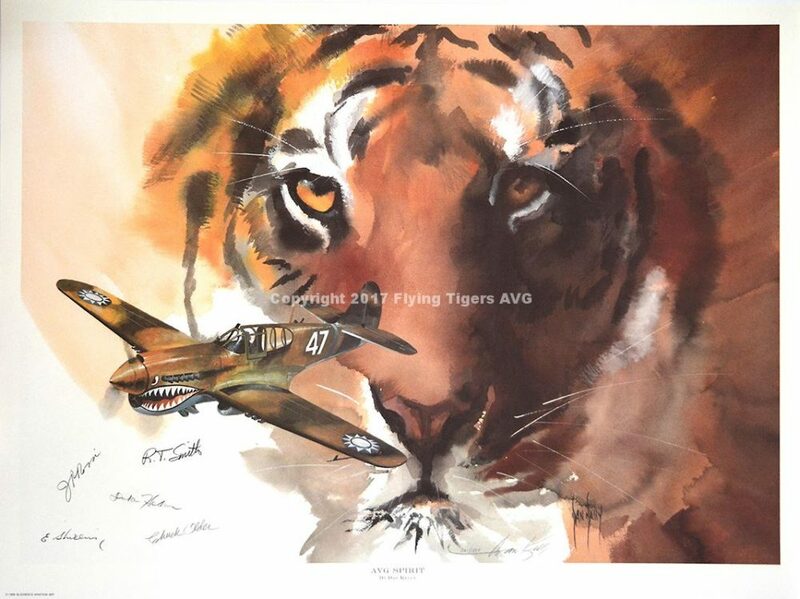 The copies offered by the Flying Tigers Association are the only ones with more than 50 AVG members’ signatures. 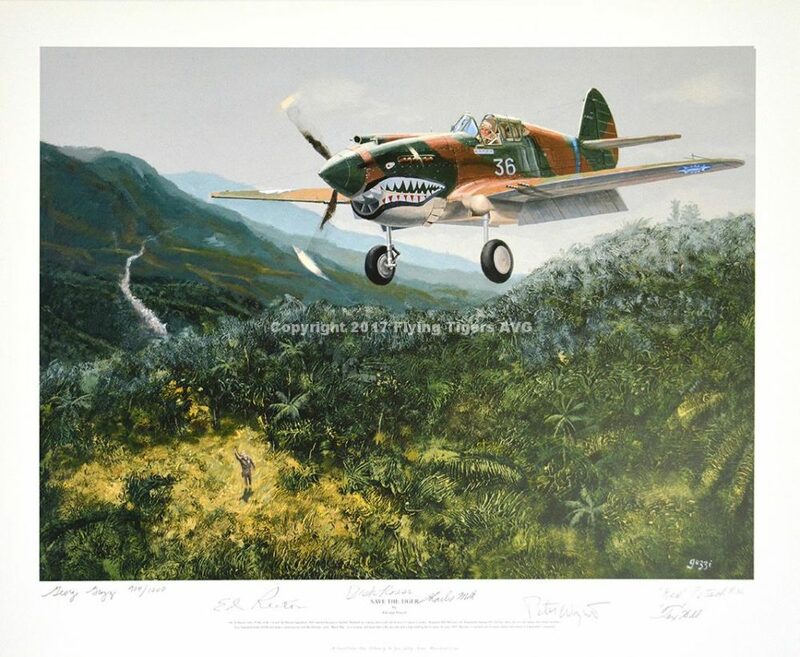 Features the planes of Duke Hedman, Chuck Older and R.T. Smith.